The first half of 2018 was a time of significant change for the mobile advertising industry — especially in the wake of the GDPR. 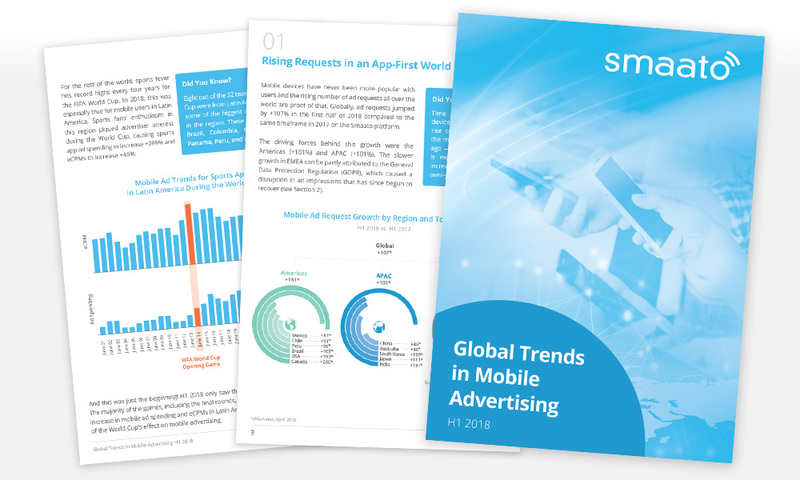 Global Rankings: Which countries saw the highest growth in mobile ad requests and ad spending? The GDPR Effect: How did the GDPR affect mobile ad spending and ad prices in Europe? Apps in APAC: APAC consumers are spending more time in-app than ever before — how has this affected in-app’s share of mobile ad spending in the region? Retail Brands: As the mobile advertising industry has worked to foster a more brand safe environment, how have brands reacted in terms of ad spending? Super Bowl & World Cup: How did H1 2018’s major sporting events affect mobile ad spending and eCPMs in sports apps? Budget vs. High-End Android Devices: iOS devices attract the highest eCPMs, but what is the difference in eCPM between budget and high-end Android devices?